I hardly wore the red scarf. It was unusually warm today! The cream sweater is a great neutral pair for the skirt and adds a contrasting texture and pattern. The red scarf was a challenging addition (do they go?). It was chosen because red and green are complements and because the yellow and white in the scarf go well with the green (turns out, it was too warm for the scarf most of the day!). 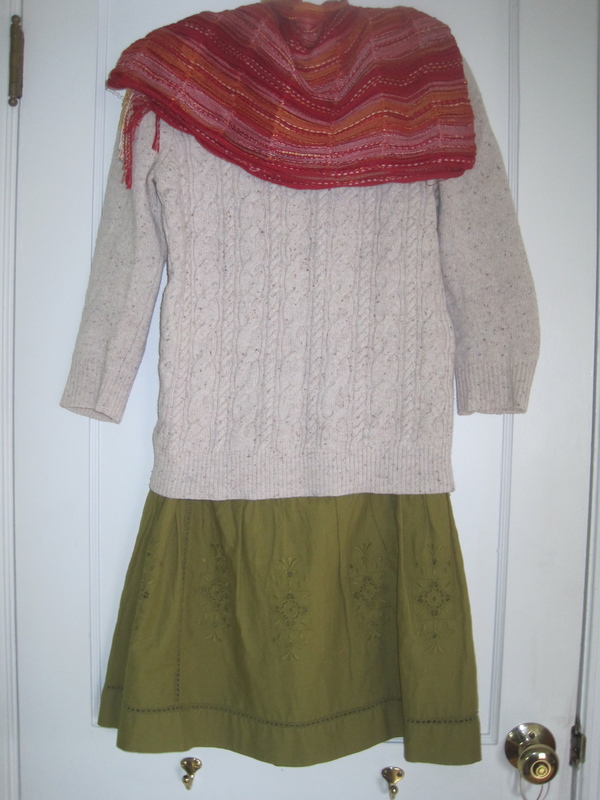 This entry was posted in Daily Outfit and tagged boots, cream, green, red, scarf, skirt, sweater. Bookmark the permalink.